We classify condensed matter systems in terms of the spacetime symmetries they spontaneously break. In particular, we characterize condensed matter itself as any state in a Poincaré-invariant theory that spontaneously breaks Lorentz boosts while preserving at large distances some form of spatial translations, time-translations, and possibly spatial rotations. Surprisingly, the simplest, most minimal system achieving this symmetry breaking pattern — the framid — does not seem to be realized in Nature. Instead, Nature usually adopts a more cumbersome strategy: that of introducing internal translational symmetries — and possibly rotational ones — and of spontaneously breaking them along with their space-time counterparts, while preserving unbroken diagonal subgroups. This symmetry breaking pattern describes the infrared dynamics of ordinary solids, fluids, superfluids, and — if they exist — supersolids. A third, “extra-ordinary”, possibility involves replacing these internal symmetries with other symmetries that do not commute with the Poincaré group, for instance the galileon symmetry, supersymmetry or gauge symmetries. Among these options, we pick the systems based on the galileon symmetry, the “galileids”, for a more detailed study. Despite some similarity, all different patterns produce truly distinct physical systems with different observable properties. For instance, the low-energy 2 → 2 scattering amplitudes for the Goldstone excitations in the cases of framids, solids and galileids scale respectively as E 2, E 4, and E 6. Similarly the energy momentum tensor in the ground state is “trivial” for framids (ρ + p = 0), normal for solids (ρ + p > 0) and even inhomogenous for galileids. D.T. 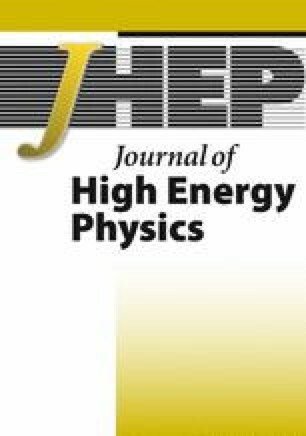 Son, Low-energy quantum effective action for relativistic superfluids, hep-ph/0204199 [INSPIRE]. A. Kapustin, Remarks on nonrelativistic Goldstone bosons, arXiv:1207.0457 [INSPIRE]. A. Nicolis, Low-energy effective field theory for finite-temperature relativistic superfluids, arXiv:1108.2513 [INSPIRE].